A luxury jewelry designer is partnering with the non-profit Save A Child’s Heart in order to help raise money for life-saving treatment for children from the developing world. This Valentine’s Day, YVEL has decided to not just offer a 10% discount on its award winning jewelry, but actively participate in saving the lives of children from around the world by contributing 5% of sales from this online campaign to Save A Child’s Heart Foundation – an incredible organization dedicated to providing life-saving heart surgeries on children from the developing world; regardless of race, religion, financial status or gender. The Israel-based organization treats roughly 250 kids each year, with no charge to their families. To date, SACH has saved the lives of over 3,400 children from Africa, South America, Europe, Asia, and throughout the Middle East – including Syria, the West Bank and Gaza. YVEL is an award winning high-end jewelry designer and manufacturer based in Jerusalem. Their designs are sold in stores worldwide and online, and have been seen on numerous red carpets worn by some of Hollywood’s biggest celebrities. Long known for their philanthropic activities, especially through their Megemeria School for Ethiopian immigrants (whose jewelry is sold on the Home Shopping Network), YVEL’s founders, Isaac & Orna Levy are proud to contribute to such an amazing cause. “We are honored to be part of such an incredible campaign and actively contribute to saving the lives of children from around the world who otherwise would not be able to survive. We commend Save a Child’s Heart’s work and have the utmost respect for the doctors, staff and all of the volunteers involved in making the world a better place”, says Isaac Levy. 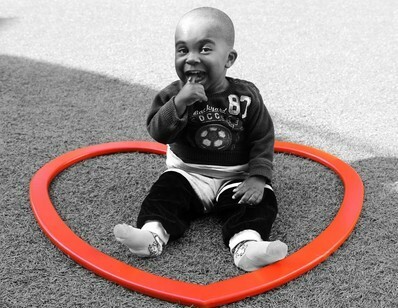 For more information about Yvel’s Valentine’s Day partnership with SACH, please see the Yvel.com magazine.